To capture the public’s attention, and prompt them to take action, AOA’s annual Ready for School public relations campaign emphasizes the growing strain that digital device use is putting on children’s eyes, and how to deal with it. AOA’s 2015 American Eye-Q® survey revealed that increasing use of technology at home and at school is taking a toll on the eye health and vision of children in America. While technology may enhance learning and provide entertainment, the long-term effects on children’s eyes are not yet fully known. And 41 percent of parents report their children spend three or more hours a day using digital devices. Contaminated contact lens cases are a major source of contact lens related eye infections. Dr. Mark Herriott, OD, with Eyecare Associates of Lees Summit gives us an important update on a recent study found that contact lens wearers who have poor hygiene habits also have increased bacterial contamination in their contact lens cases. 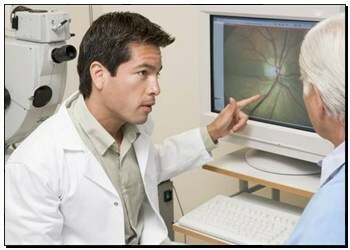 The research was published in Optometry and Vision Science. The study conducted by Mark D. P. Willcox, PhD, FAAO, and his colleagues included 119 contact lens wearers who were surveyed about their contact lens hygiene habits. The study participants also provided their used contact lens cases, which were sent to a lab for culture studies. The researchers then assessed the relationship between hygiene practices and contact lens case contamination. Posted by EyeCare Associates of Lees Summit & filed under Eye Health, Glasses. Sunglasses Extravaganza! During June and July all non-prescription and prescription sunglasses are 20% off. Take advantage of this great opportunity to not only look good but protect your eyes this summer! President and Mrs. Kennedy watching the 1962 America’s Cup. They’re not wrath or lust, but these bad habits can leave you with nasty eye infections. Seven a.m. You hit snooze, wake up, get dressed and brush your teeth. You comb your hair, throw in your contacts, slug some coffee and leave for the day. That quick minute devoted to putting in your contacts may seem as routine and insignificant as choosing a travel mug for your coffee. But think about it: You are placing a custom-fitted, doctor-prescribed plastic device on your fragile mucus membrane, likely allowing you to see your best. According to a recent article in Health Day News many people may still believe measles is a harmless, transient disease. But experts warn that even before the telltale skin rash appears, the infection typically shows up in the eyes. In rare cases, measles can trigger long-term vision problems and even blindness. Also, one or two of every 1,000 children who get measles will die from it, according to the U.S. Centers for Disease Control and Prevention. People who apply eyeliner on the inner eyelid run the risk of contaminating the eye and causing vision trouble, according to research by a scientist at the University of Waterloo. This is the first study to prove that particles from pencil eyeliner move into the eye. Dr. Alison Ng, at the Centre for Contact Lens Research at Waterloo, directed the study when she was at Cardiff University in Wales. The team’s findings appear in Eye and Contact Lens Science and Clinical Practice, the official peer-reviewed journal of the Contact Lens Association of Ophthalmologists. Ah Spring, Ah Allergies it’s a time of April showers and May flowers. And as Dr. Mark Herriott with Eyecare Associates of Lees Summit notes for many of us, this also means the return of seasonal burning, itching and red eyes. 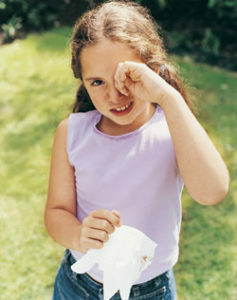 While most people look forward to snow melting and spring arriving many people think of spring as prime allergy season. Spring is a time of year when allergy sufferers may need some relief. With a warmer then average winter and lots of trees and plants blooming Mother Nature is making conditions ripe for irritating ocular allergies. A new and preliminary study published in the journal Pediatrics, adds to an increasing body of evidence that suggests getting a little dirty does the immune system some good. That thinking is known as the “hygiene hypothesis,” which speculates that the reason kids develop so many allergies today is because their environments are just too clean. Without exposure to bacteria early in life, children’s immune systems don’t become as hardy as they could be. Research over the years has linked a variety of early lifestyle factors, like having pets, eating fish, and living on a farm to a significantly lower risk of developing allergies. Now this new study suggests that hand washing dishes might be the next behavior to add to the list. Pigment being injected into the conjunctiva of the eye during a tattoo procedure. Shock value is hard to produce in the Internet age, but some attendees of the International Tattoo Festival in Caracas, Venezuela, gave it their best shot.